Not long after our wedding, my spouse decided on a whim to take an Aerial Silks class. His decision changed our lives forever. A passion for physical activity that takes his feet off of the ground that Neil had found doing gymnastics in high school was rekindled, and he has not stopped in over four years. He discovered that he is a natural teacher and has now taught Silks for three different studios in the Twin Cities area as well as for the Campfire Flow Arts Festival. Watching Neil taking these classes sparked my own interest, although I do not take to it easily as he does. I see this as my challenge to do things that I do not fully believe I can do, to fail, pick myself up, and try again, and again. It has become one of my spiritual practices, in truth, and has been instrumental in personal growth. Over the past three years, I have taken classes in Lyra (aerial hoop), Acro Balance, and Aerial Sling. To further challenge myself and round out my circus training, I intend this spring to see if I can tame my fear enough to walk on stilts without clinging to a wall and practice more fire breathing. My musical resume is lengthy, and I define myself as a skilled amateur cellist and singer. Over time, I have explored a variety of musical styles and ensembles, although my grounding is in the Classical genre. Currently, I play with the Dakota Valley Symphony and regularly in the pit orchestra for Morris Park Players and the Eagan High School Community Musical Theatre. 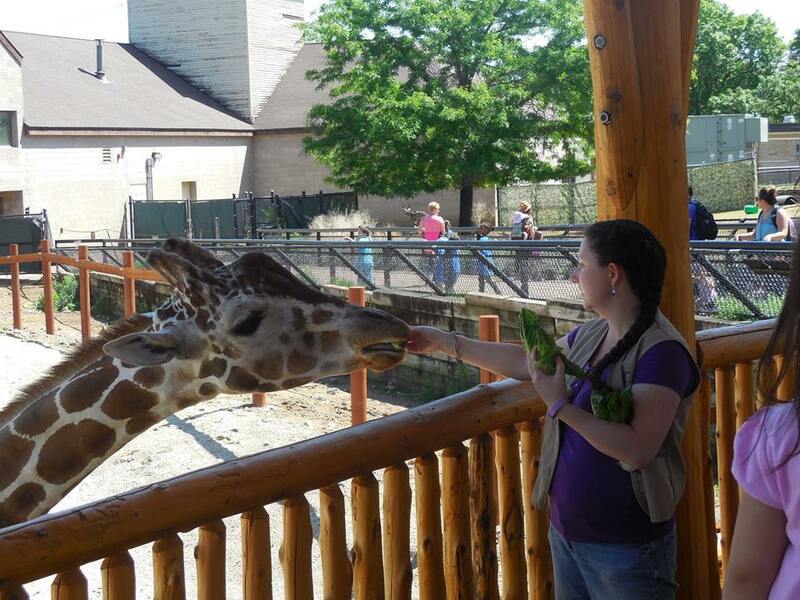 Over the past five years, I have spent numerous hours informally teaching visitors about the plants, and sometimes animals, at Como Park Zoo and Conservatory. Within museum and zoo settings, the practice of starting conversations that lead to learning is called Interpretation. During a recent shift, I stood in the Palm Dome holding the crownshaft portion of a huge Princess Palm frond, which is the base portion of the frond that clings to other fronds and provides support. This specific piece fell off the tree a while ago and long after the frond itself had been cut away. Stood on end, the piece of palm frond is a little taller than my shoulder. I asked those who looked at me with my big piece of plant with curiosity what they thought it was and reveled in their creative answers (e.g. the Jolly Green Giant’s shoehorn, a slide for faeries, a very large soup spoon). With the conversation started, I could then teach about the palm trees themselves. I am enough of an innate teacher that even when my spouse and I go to the Conservatory for a romantic stroll together, I invariably overhear someone asking a question out loud and walk over to answer it. I find such joy in the natural world and all of the ways in which the Conservatory plants touch our lives every day, and it is a blessing for me to be able to share that joy with the public. There are no fewer than twenty houseplants in my home right now. Four spider plants hang in the kitchen windows, three pothos adorn the top of a bookshelf, and I have a second coffee table in the living room that exists only to support a variety of plants before the front window. These plants clear the air and remind me that there is life, even in the dead of Minnesota winter. A major purpose in my life is to nurture: my plants are a reflection of that need. And, when my spider plants make babies or my african violet leaf cuttings actually survive to produce tiny new plants, I put them in pots and place an ad on Facebook for people in the neighborhood to be able to bring home their own free plant. I play cooperative board games with my spouse and friends, read science fiction and fantasy novels, watch geeky television shows, listen to modern radio dramas, have participated in historical reenactment, and crochet small toys and ornaments. See a gallery of photos related to my hobbies here.